In the winter, snow is accumulated on the surfaces of the structures which may cause some accidents. The shearing strength of ice was measured for the counter-measuring against these problems. By painting HIREC on the surface of the structures, the shearing strength of iced snow on the structures can be drastically reduced. For ice, the electrostatic interaction is the dominant cause of adhesion because a water molecule has a dipole moment. 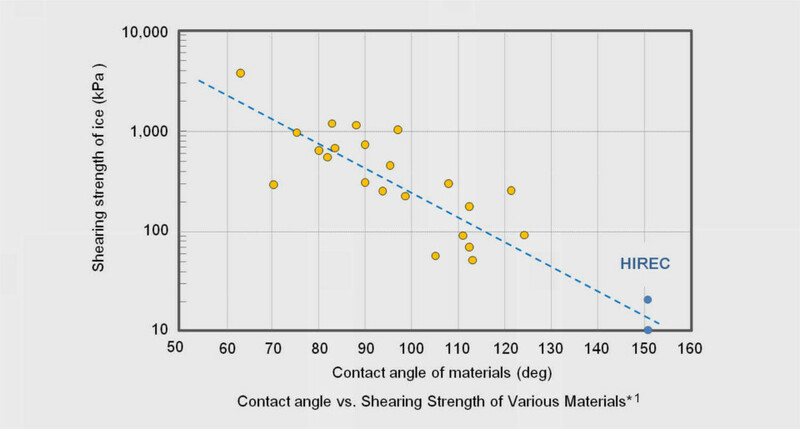 The shearing strengths of the ice for HIREC coated surface are shown in the following figure along with those of other hydrophobic materials. HIREC is a super water repellent material and has a large contact angle of 150°. Surfaces coated with HIREC, therefore, has a low shearing strength of 30 kPa (300 gf/cm²) or less. HIREC 450 was designed to reduce the shearing strength of the ice and has the small shearing strength of 10 kPa (100 gf/cm²) or less. This shearing strength of the ice is 1/5 to 1/10 compared to common hydrophobic materials. 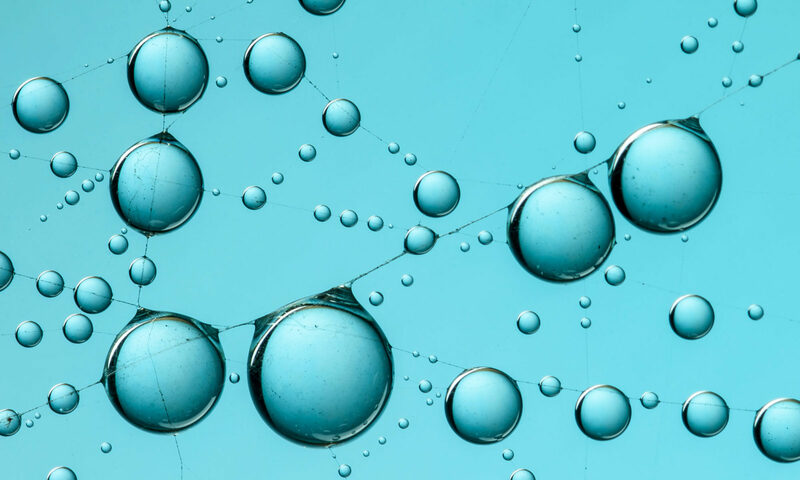 HIREC, the superhydrophobic material with a high contact angle, is an effective material for a counter measurement against iced-snow accretion.